The main things a buyer needs to look for is legal ownership, that the car has DMV registration, and a car that has no outstanding recalls or major mechanical problems. If the car has major problems the seller should disclose all problems with the car, so the asking price will be based on the true value of the car. Just as I have recommended before it is important to get the VIN# and license plate of the car. The first research with these items should be with your local department of motor vehicles – they will verify the legal ownership and registration of the car. You can follow up your research with the online services that give you information about the car via the VIN# and license number. 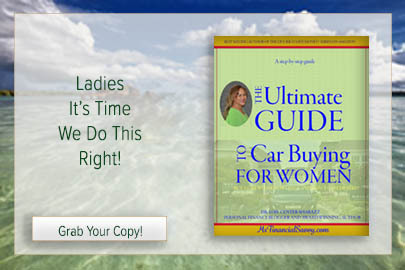 The best opportunity is when you buy a car from a person you are close to because you are more likely to be familiar with the functions and mechanics of the car. Also, a family member or close friend will be more likely to let you know what the true status of the car is. Even if you know the person well, it is still important to verify the status of the car–it’s ownership and legal status. 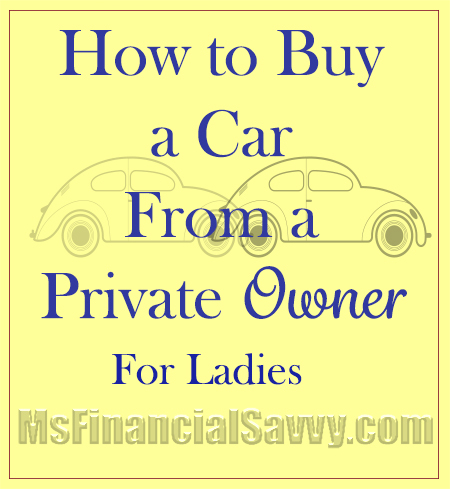 This is a little more complex way to buy a car from a private owner who you are not familiar with. The verification process is crucial in this situation. It is rare but, there are those who sell cars that don’t belong to them. They use false identification and sell stolen cars that have not yet been reported, or through some other process. Because of the many ways strangers can sell illicit cars, it is important to take your time and go through a verification process. Start with asking for a driver’s license and car registration that match, before you look at the car. Make sure the car is insured before you test drive it. Some cars are left on the side of the road by their owners with signs “for sale”. Those that are parked in the driveway of the owner’s home is the best bet because you have their address, f it matches the registration, it is most likely their car. If it is parked on the side of the road, it may or may not belong to the seller. So, be cautious and go through the verification process. Make sure you 1. See the seller’s driver’s license, 2. See the car registration, 3. Take the VIN#, 4. The license plate number on the car – all this should be taken to the DMV and other verification websites. Of course, again, make sure the car is insured before test driving it. Buying a car from a private owner can be tricky, some have been found to be stolen, and some are simply bad cars. Remember to always get these cars checked out by a mobile mechanic. And, make sure the VIN#, which appears in the lower corner of the front windshield always matches the car description. From the VIN#, you can also get the history of the car such as reported car accidents, totaled out cars that are patched, flooded cars and history of owners. I agree. That is where I have been the most successful. I just sold my car to a friend and she loves it, she knows the car because she has seen it and me for a few years, so she knows it is in good shape. Good ideas! If I ever bought a car from a private owner, it would have to be from my immediate family only. But for those of my friends who would buy from a private owner, these are great, common-sense tips! Family is a good idea. The toughest to buy from are used car lots with a lot of “gotchas” in their contracts. Very good. Some have good luck, some have bad luck. The point is, no matter where you buy, do your research. With the advent of the internet, there has been an increase in seller fraud, so we all have to be careful.